The census finds that at least 81 journalists in Turkey are jailed, ¨the highest number in any one country at a time and every one of them faces anti-state charges.¨ The figures that local journalism platforms provide are higher, as high as 150, including the jailed reporters from state-run public broadcasting company. Most of the journalists who are imprisoned in Turkey are accused of terrorist propaganda or alleged links to the failed coup of July 15. 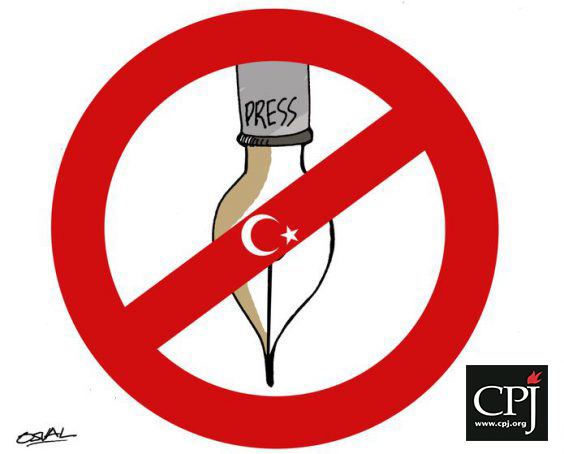 CPJ executive director Joel Simon stated in a press release on Tuesday that Turkey is at the vanguard of the authoritarian trend of jailing journalists while adding that the country violates its own laws by suppressing free speech. CPJ also noted that despite anti-state charges against jailed journalists in Turkey, it was unable to confirm a direct link to their work. It is not possible to “determine” the number of journalists in Turkish prisons, said Turkey’s justice minister in response to a parliamentary question on December 3. This article originally appeared in Turkish Minute on Dec. 13.